New high torque brushless motor with rotating drum and high power neodym magnets is designed especially for unlimited 3D model up to 1400 g in weight. 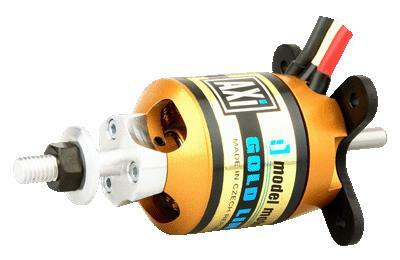 This motor is sutable for new model Mini Raven 49", Sebart Katana S30E etc. Due to it’s high torque this motor is capable of turning large propellers with a high level of efficiency and without the need for a gearbox. Hardened steel shaft is supported by three ball bearings. 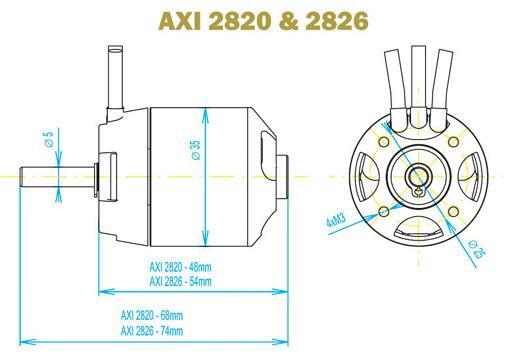 A feature in the AXI design is a provision for radial mounting (see picture). The optional radial mount set includes: mounting flange, propeller adaptor, securing collar, and screws.